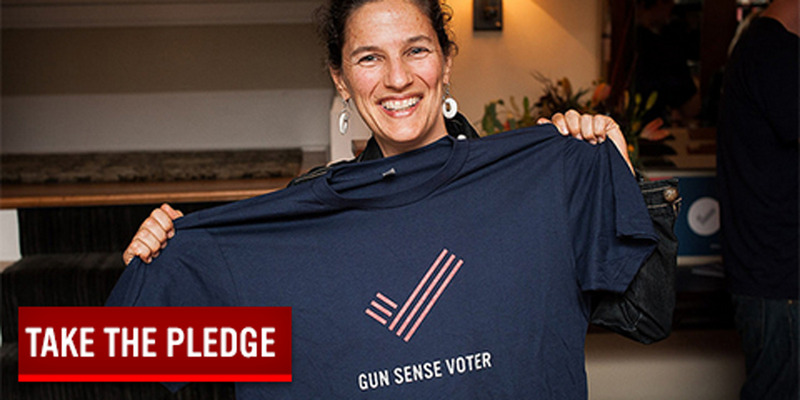 Are You a Gun Sense Voter? Gun sense is the simple idea that we can do much more to keep our families and communities safe from gun violence. It's the belief that we, as Americans, don't have to tolerate 35,000 deaths from gun violence every single year. If you believe that felons and domestic abusers shouldn't have access to guns; if you think guns don't belong in places like churches, schools, and playgrounds; if you think the right to life and liberty is just as important as the right to bear arms: You have gun sense. "I pledge to support local, state and federal candidates who will fight for common-sense reforms to reduce gun violence."